I am sure all of you have been to circus or have seen Banjara kids perform on streets of India using tight rope. I always wondered how they are able to do it. The higher the rope the faster my heart used to beat. While in Circus there is a safety net to keep the performers safe, there is no such thing for the Banjara kids performing on the streets. The Slacklining used for GHAC events is actually not very high, it is just around 1 ft in air. So that even if somebody falls there is no injury. 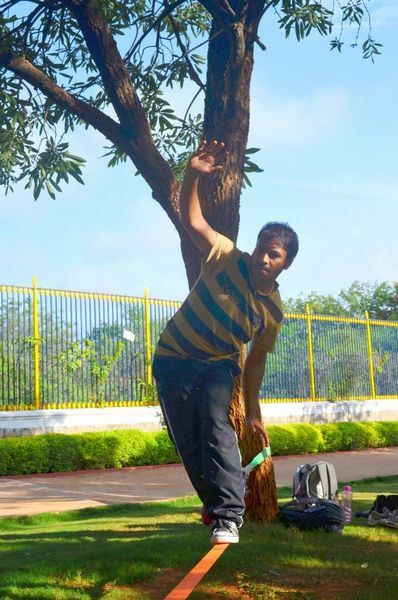 The slacklining may not be very high but you still have to cross it without any support and that forces your instincts to work to balance your body. This is where the benefits to your body start coming, as your body and mind are on high alert your ability to focus increases many folds. 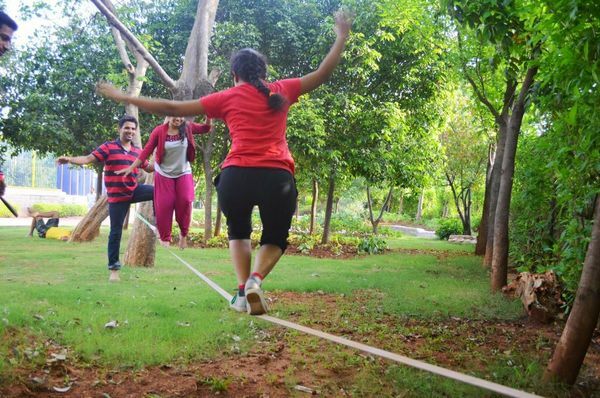 The adrenaline rush in your blood gives you a high and you thoroughly enjoy the crossing of the slack line. 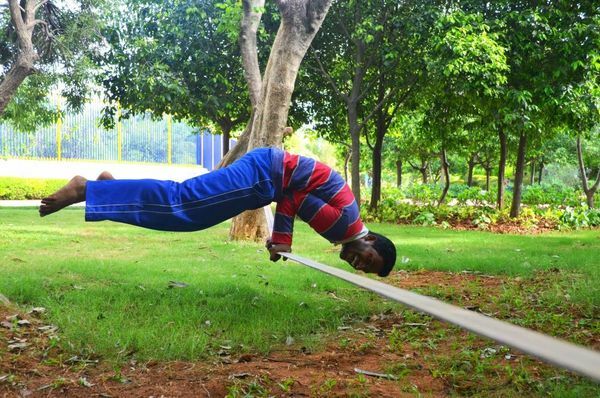 As you try to balance your body various muscles in your body come in action and all energy is used to keep the balance on the slack line. But more than anything else the whole process is full of fun and you should listen to the squeaks of joy and laughter coming from the participants. Below are some pictures from the recent event that we held in KBR park. The best part about Slacklining is that you do not need any expensive equipment or training, all you need is a little bit of space and will to have some fun (how tough is that ?). Age is no barrier as long as you do not have any major injuries in your limbs. We regularly have parents enjoying with their kids as family during our Slacklining events. 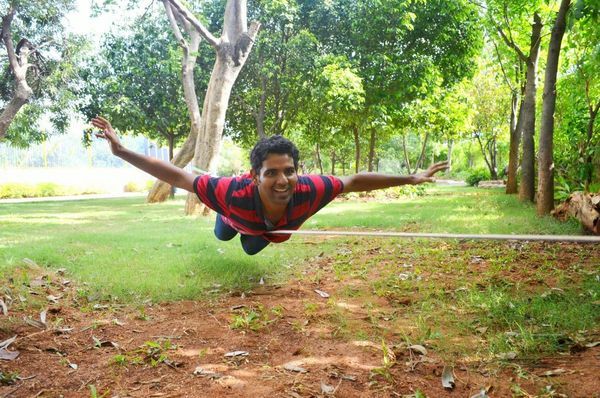 So what are you waiting for Slacklining is a regular event at GHAC, go ahead and RSVP for the same and have some fun with adrenaline rush.